Boulder photo tours. Straight Lines. Using this bridge to stand directly over the stream creates a powerful straight line leading into the composition. This technique is useful for photographing landscapes like a downed tree trunk, crack in a rock or fence leading to a mountain peak. In this image, the bridge is a powerful straight line leading to the trail and mountains behind. 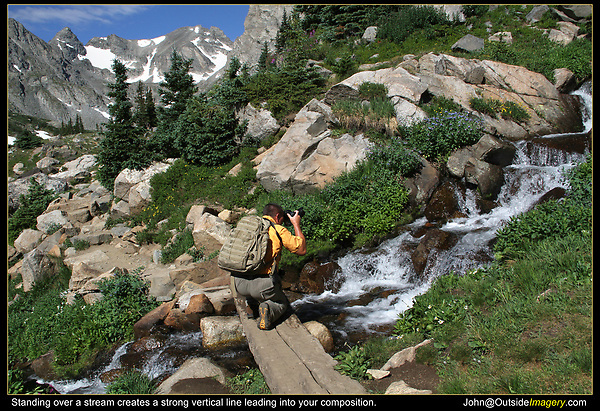 It actually leads your eye to the left, away from the stream Colorado tours by Outside Imagery.